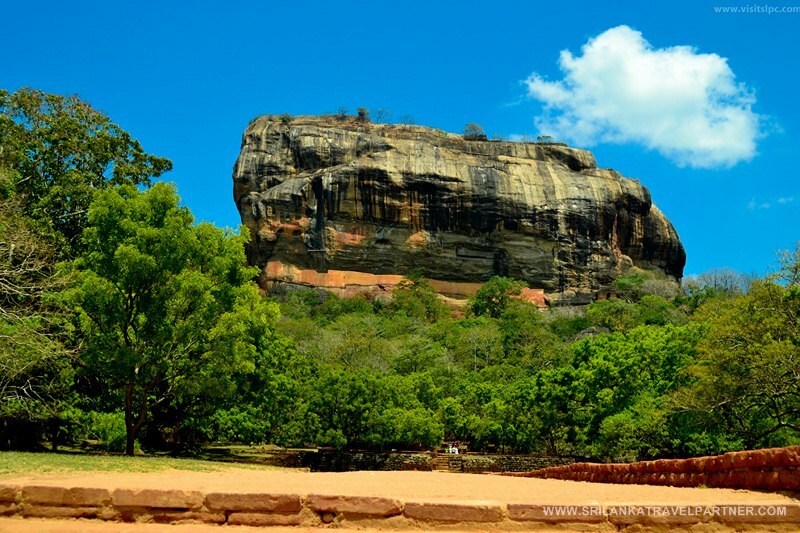 Sigiriya or Sinhagiri is an ancient rock fortress . 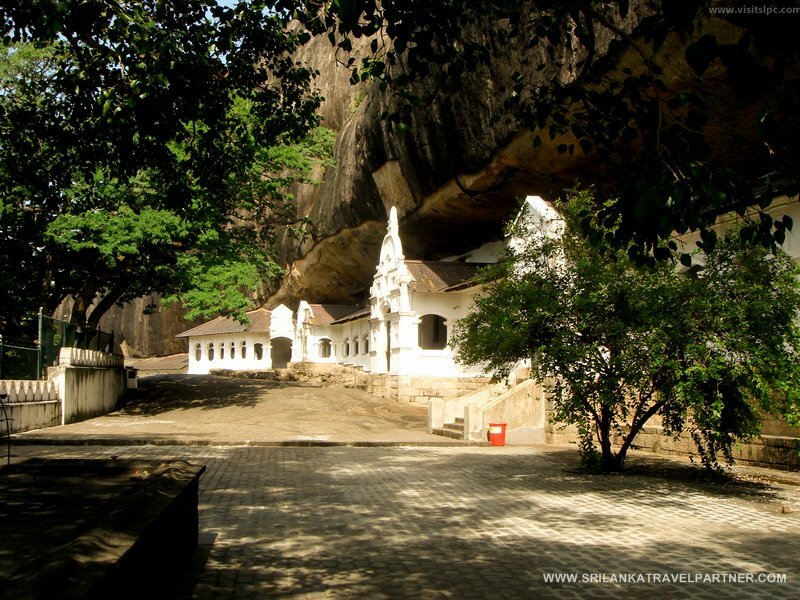 It is located in the northern Matale District near the town of Dambulla in the Central Province, Sri Lanka. There are several approaches to the inner city and the most prominent is the Western entrance. 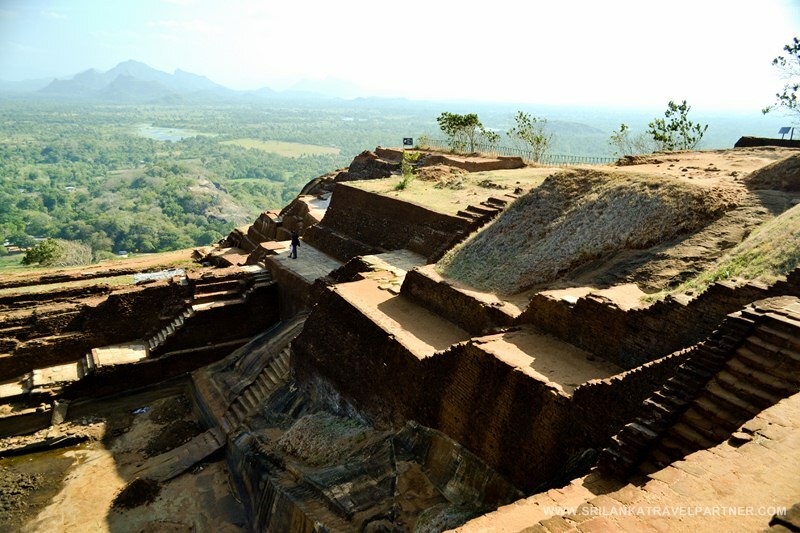 From the summit of the rock, the land areas up to distances of tens of miles can be watch making it hard for the enemy to make a surprise attack to the kingdom. 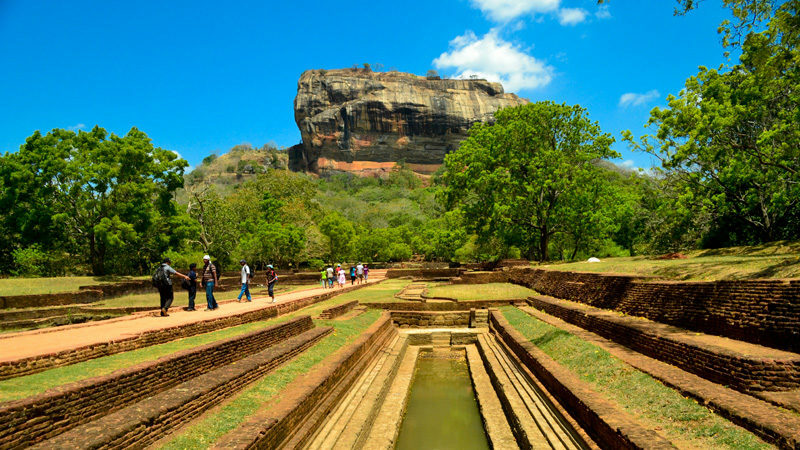 King Kashyapa made this magnificent creation and the elaborate water garden which faces west looking from the top terrace of the rock. 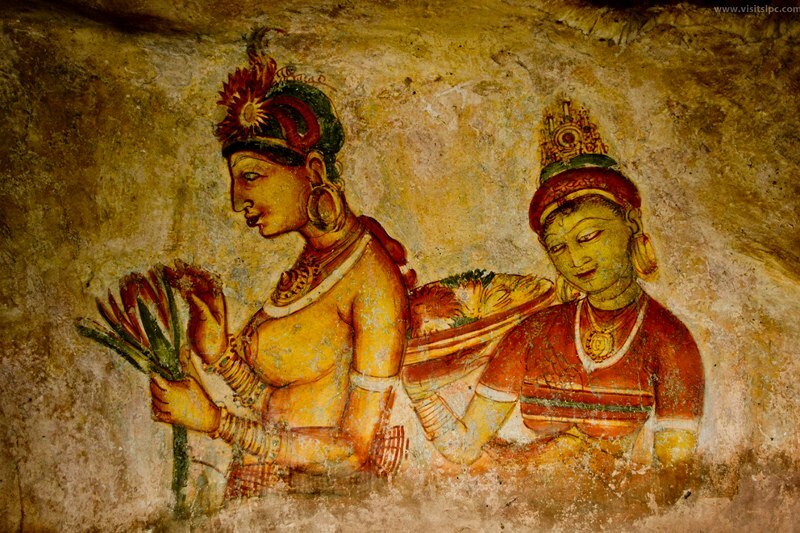 The world famous frescoes of the “heavenly maidens” are paint on the western face. And the rock overlooking the fountains of the western water garden which come alive during the rainy season remaining functioning to modern day. 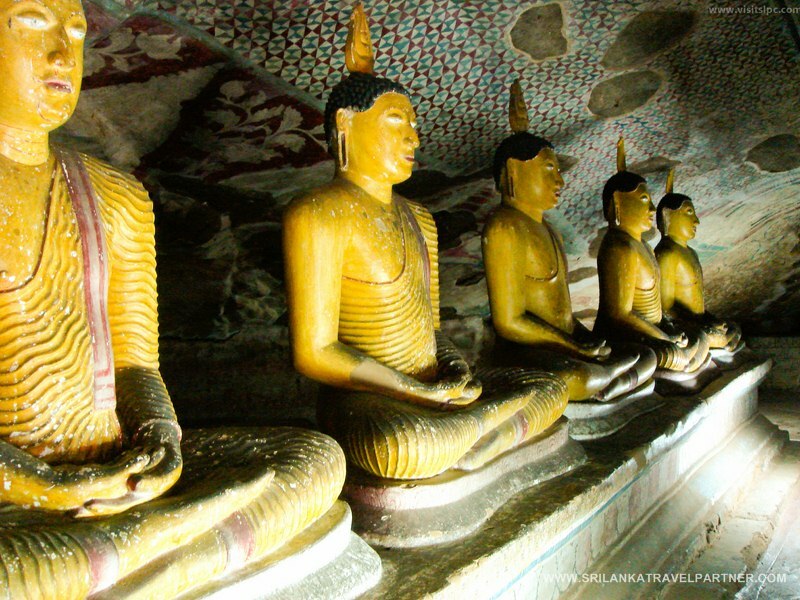 Dambulla cave temples also call as the Golden Temple of Dambulla. 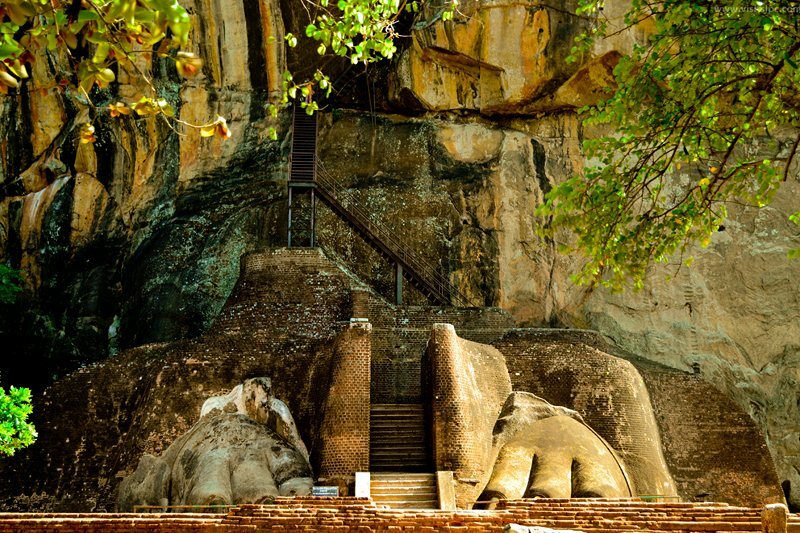 It is a World Heritage Site in Sri Lanka. Located in the central part of the country. 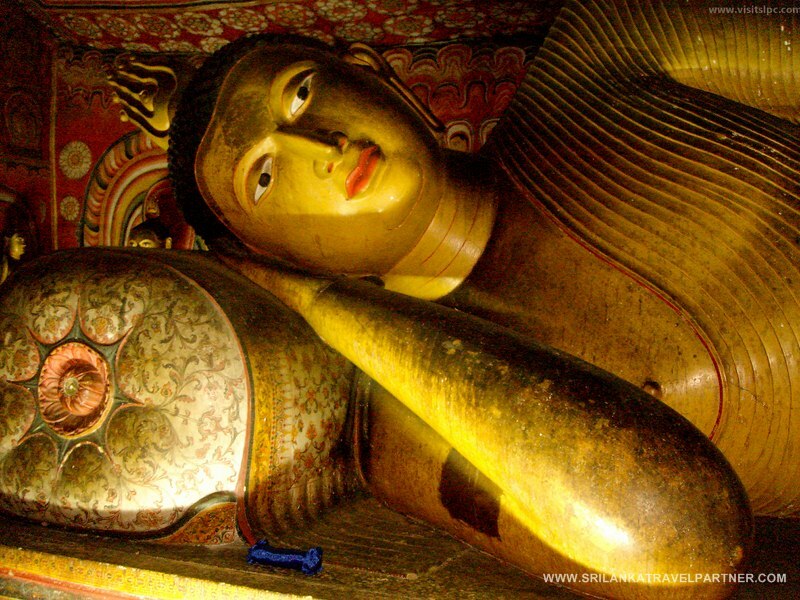 This site is situated 148 kilometres east of Colombo and 72 kilometres north of Kandy. 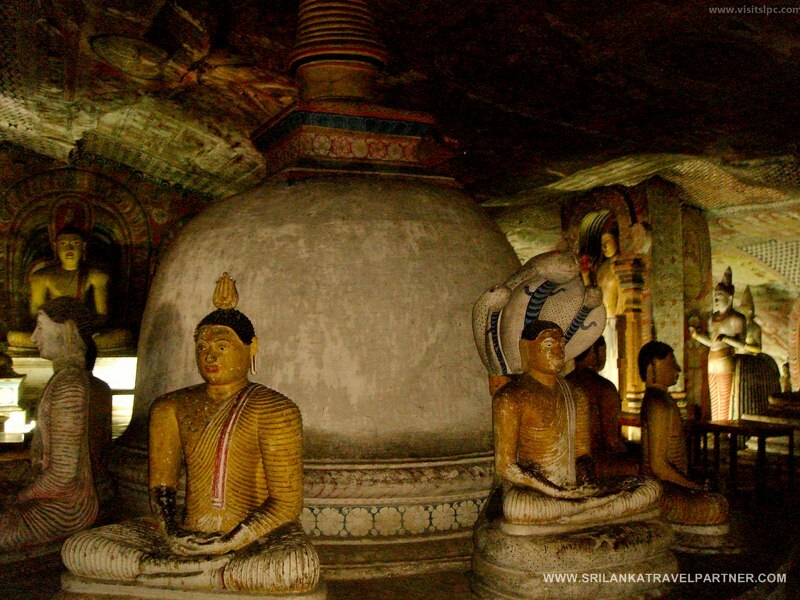 It is home to the World’s most acclaimed Cave complex of magnificent Buddha Images and Rock Paintings of vivid colours and shapes constructed and painted from around the 2nd Century BC (Anuradhapura era) and continued up to the Kandyan era of the 18th Century, thus forming an unbroken line of history and painting styles of Sri Lanka through 2500 years.